Perilus is a Roman boy who is crazy about chariot racing. He loves to practise in his own homemade chariot (pulled by the family goat) and dreams of riding in the Circus Maximus himself one day. 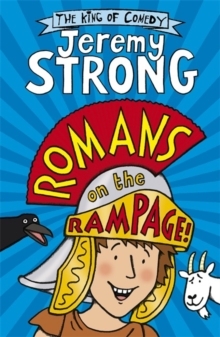 But when Perilus's hero, the brilliant charioteer Scorcha , goes missing on the day of the big race, Perilus finds his wish coming true sooner than he'd imagined!A laugh-out-loud story from King of Comedy Jeremy Strong.